This description of Bénédicte Défontaines's work was prepared when Bénédicte Défontaines was elected to the Ashoka Fellowship in 2013. As we live to be older and older, everyone is faced with the risks of developing a cognitive disease at some point in their lives. Between the ages of 50 and 70, one might start walking slower and having fewer reflexes; one might start forgetting small tasks of our daily routine and details of what happened earlier in the day. The first signs will likely be very mild, and one might think or be told that they are simply tired or have too much on their mind. If they get lucky, they might avoid domestic or car accidents for a few years, and feed themselves enough not to suffer from too many health problems. Until one day, ten years or so later, one will have lost their abilities to such a point that they have lost their autonomy and depend on their family, and at that stage doctors will eventually send them to the hospital to run a battery of neurological tests. Because there are only 2,000 neurologists in France and that they are the only ones recognized by the national health insurance scheme and allowed to pronounce a diagnosis, the delay to get an appointment is likely to be around 24 months. Two years over which patients’ situations keep deteriorating and caregivers have more and more trouble handling the situation, before finally hearing the irrevocable sentence: “You are suffering from Alzheimer’s” or some other cognitive disease. By then, it is most often too late for patients to make any decision about care and succession, and caregivers’ burden is extremely heavy. They can find support groups where everybody is in similar, desperate situations, but that will do little to alleviate their struggle to find a satisfactory way to deal with the disease. Patients’ situations are even more complicated if they live in rural areas where the only access to medical care are primary care doctors, with little to no training about cognitive diseases; or if they are illiterate or non-French speakers, which prevents them from doing standard tests. In many situations, family and cultural contexts make it unimaginable to talk about and confront them. These scenarios are a reality for about a 30,000 French people diagnosed every year (a total of one million patients), and for millions across Europe: taboos about aging and brain-related diseases remain deeply rooted; there is little history or culture of managed care, and a strong shortage of neurological professionals. The impact is dramatic for patients, who do not have any power to make decisions; for families and caregivers, whose role has heavy consequences on their psychological and physical health; and for society in general, as public welfare systems bear the cost of late intervention and the lack of prevention mechanisms. There are however several opportunities for change. New professions are emerging with the potential to alleviate the situation of patients and families, such as neuropsychology and professional caregiving; public and private insurance systems are looking at prevention and early care mechanisms; and research is looking to develop therapeutic and chemical answers to cognitive diseases. The challenge is to empower patients to connect with them. Bénédicte is radically transforming the lives of thousands of patients and caregivers experiences with Alois, the network approach she designed and has been implementing since 2004. To make it work, she is tapping into the new, emerging profession of neuropsychologist; she has garnered support from the public insurance system to reimburse all prevention and care expenses, even if delivered by non-medical professionals; she is connecting research with data and patients; and she is including patients and caregivers to have a voice and play a role all along the value chain. In this new model, a patient who shows the early signs of a cognitive disease is likely to be advised to contact Alois by his doctor or pharmacist, who has been trained to detect early symptoms. They are able to make a simple phone call to a platform that answers their questions and orients them to a neurologist in their area, outside of the hospital. An average of three months is usually necessary to set an appointment that will be able to judge the seriousness of the patient’s condition, and if necessary, to orient them to a neuropsychologist to run a simple test for two hours, free of charge. This very light approach contrasts strongly with the hospital-based system, where setting an appointment requires up to two years and tests last for two entire days, which can be traumatizing. If it turns out that these early signs are indeed risks of a cognitive disease, which happens in about 50 percent of cases, patients are then invited to undergo fuller tests in the hospital or with a private neurologist, based on their location and the advancement of the disease. More recently, Bénédicte opened her approach to patients in rural areas: she is experimenting with how they can undergo these tests virtually under the supervision of their doctor, in coordination with a neurologist in the Alois network. She is also developing a culturally sensitive approach for immigrant, low-income populations in the Paris area: if they cannot read or write, and/or only speak Arabic, patients can access adapted tests close to their home and relevant psychological and medical care. Throughout this process, patients and caregivers are oriented to psychological support and discussion groups, carefully designed and organized with neuropsychologists. With them, they learn what to expect, how to deal with the disease on a daily basis and how to mitigate risks. They also have access to friendly ears, simple tips, and useful advice. And foremost, they have several more years to enjoy their memories and families, and make key decisions about the rest of their lives. Yet Bénédicte is aware that a cognitive disease diagnosis is like a death sentence, in the absence of treatment and effective medication. Part of the problem is that patients are diagnosed late and can only enter research protocols at very advanced stages of the disease, which slows down research dramatically and limits the relevance of results. To fix this, Bénédicte has participated in revamping the national knowledge management database that is shared among all neurological institutions and professionals in France, to include a broad range of useful medical and non-medical information including socioeconomic data. She is making this wealth of information accessible to private and public research laboratories, including relevant information about early-stage patients. She is thus allowing laboratories to recruit patients for their research protocols, and dramatically accelerating the development of medical solutions: thanks to her, the number of patients included in research protocols more than tripled between 2007 and 2011, to reach over 4,000. Bénédicte has piloted her model in the Paris area. To date, 161 neurologists out of 200 in the region participate in Alois, and most of them rely on neuropsychologists to run detection tests—whereas before they did not play any role in the diagnosis phase. Bénédicte is also encouraging the opening of memory centers where neurologists and neuropsychologists collaborate outside the hospital for the diagnosis and care of patients. This has allowed Alois to take charge of over 6,000 patients and 2,000 caregivers over the past eight years. Bénédicte is identifying neurologists and neuropsychologists across France who can replicate her approach and expand her network in other regions of France, as is already the case in the North and South-East. Her medical publications and public interventions are raising interest across Europe, and she has been approached by neurologists in Sweden. She now wants to demonstrate the actual cost savings of her approach for the national medical insurance scheme and private insurance companies to make reimbursements systematic and encourage investment across the country and beyond. Bénédicte was born and raised in the countryside in Algeria, where her passion for animals made her dream of becoming a veterinarian. But her experience of the independence struggle and war radically transformed her journey: seeing so much suffering geared her toward human medicine. She witnessed the complete destruction of her physical environment: all the churches and buildings she had once known were erased. All that was left were her recollections, and she realized very early that without memories, people could not have an identity or a way to reconstruct themselves. 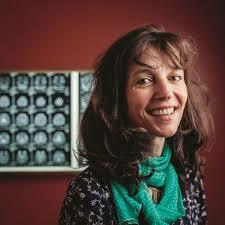 Bénédicte decided to study neurology and focus on helping people preserve and recover their memories. A brilliant medical student in Paris, Bénédicte decided to explore medicine in other parts of the world and asked for the right to spend a year at an American college. There were no exchange programs in the medical field at the time, and the dean of her university merely allowed her to take a sabbatical; she arrived in Washington DC and went to all the hospitals and universities in town, where she designed her own program and managed to work on thrilling research projects. Upon her return, her dean was so impressed that he gave her credit for her sabbatical year. Upon graduation, Bénédicte naturally entered a neurological department in a Parisian hospital and was shocked to discover the inefficiencies of the system. She was particularly revolted that patients and families were so poorly considered. Bénédicte came up with the idea of a different kind of memory consultation practice, but her proposals were repeatedly removed from the hospital budget. In 2004, she left and founded Alois.